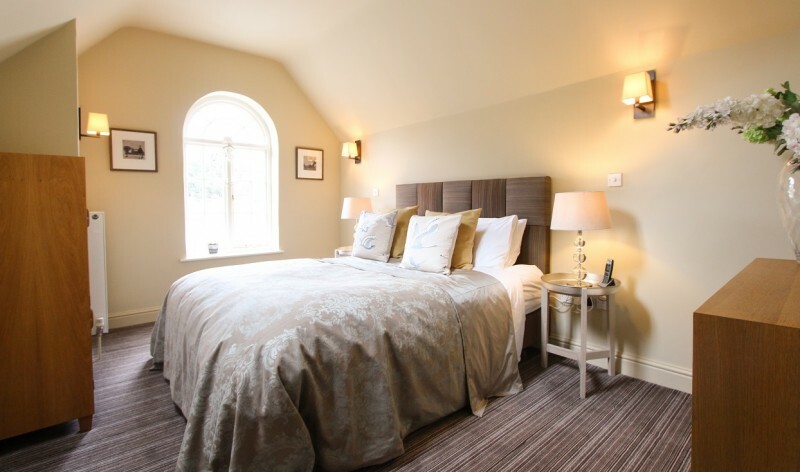 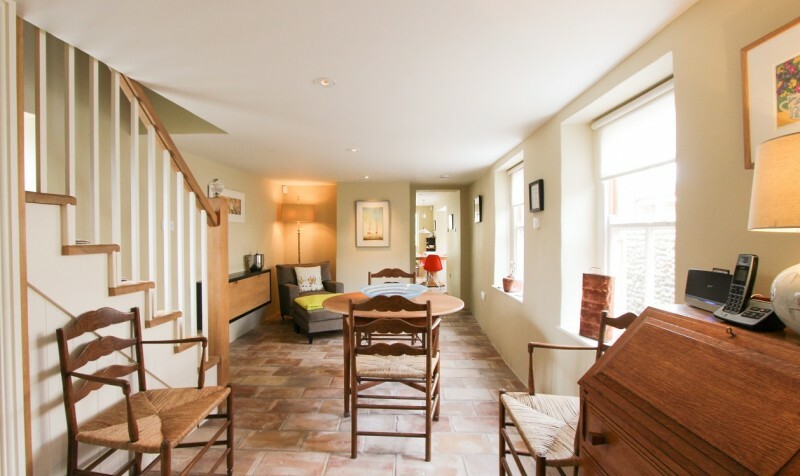 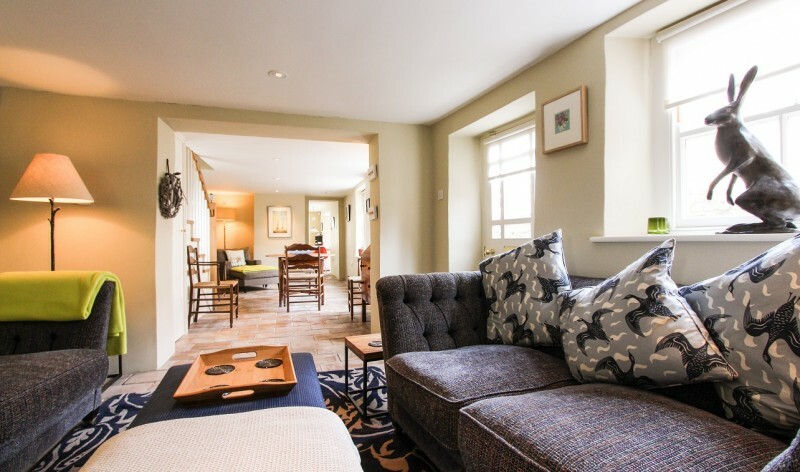 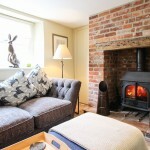 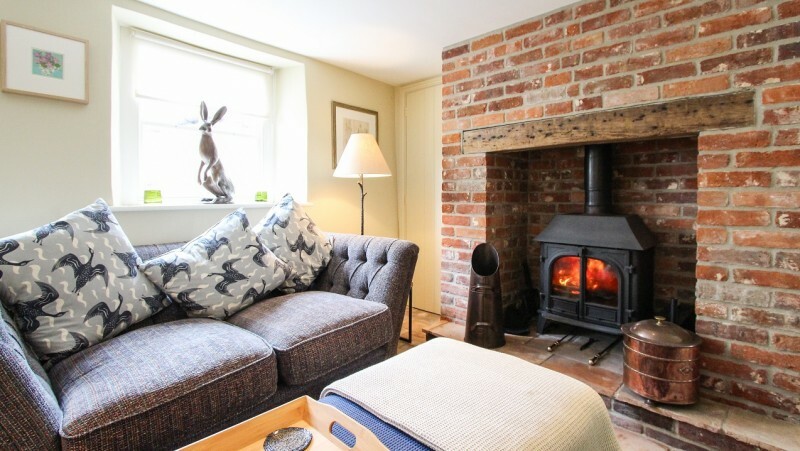 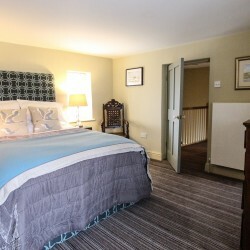 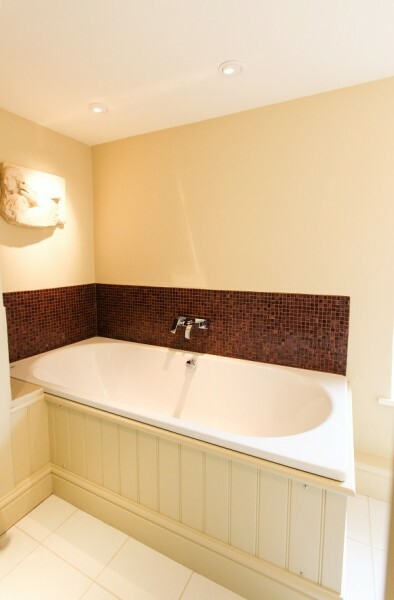 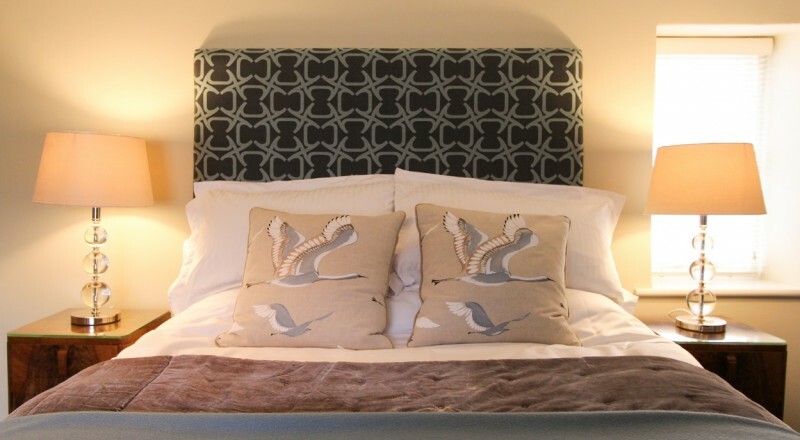 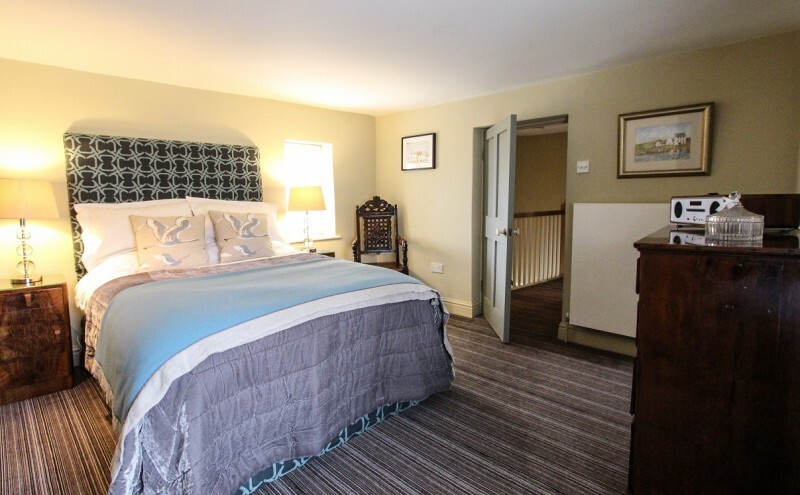 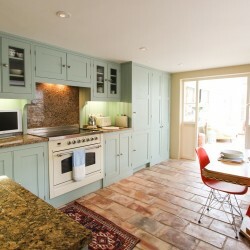 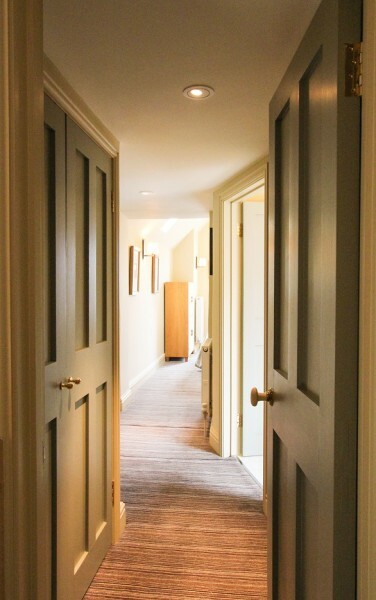 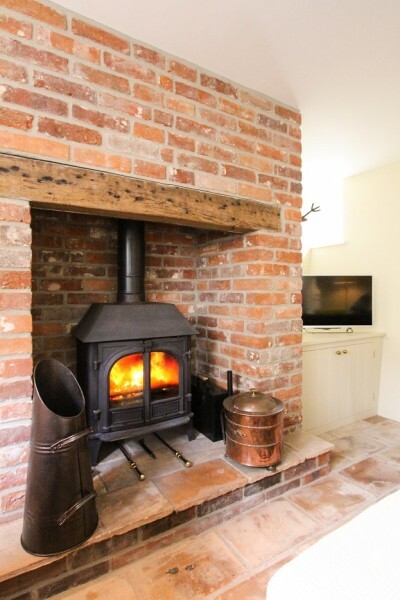 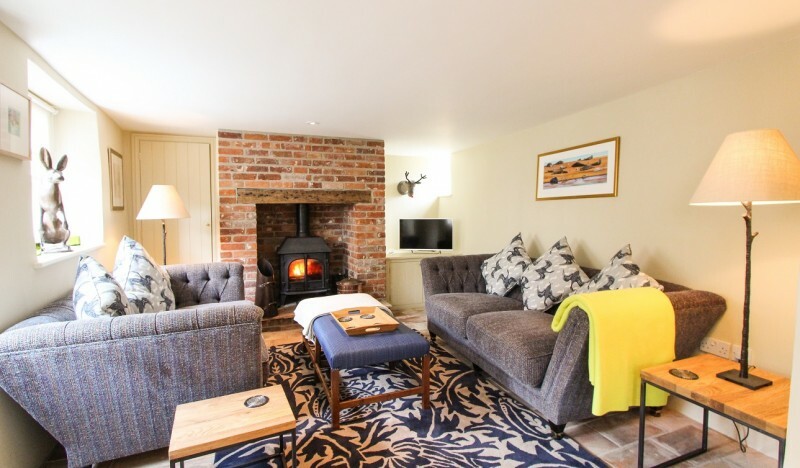 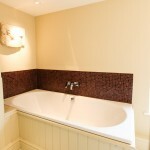 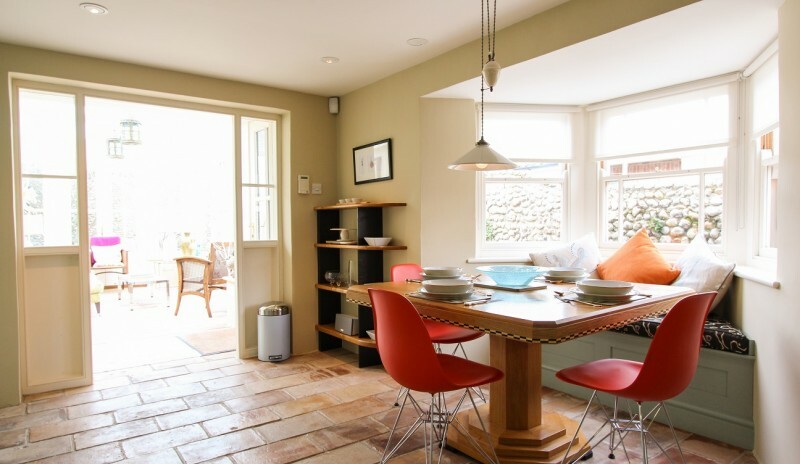 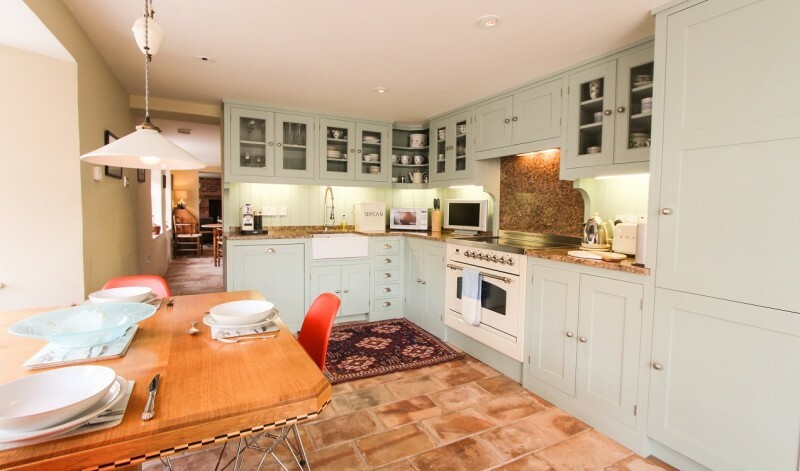 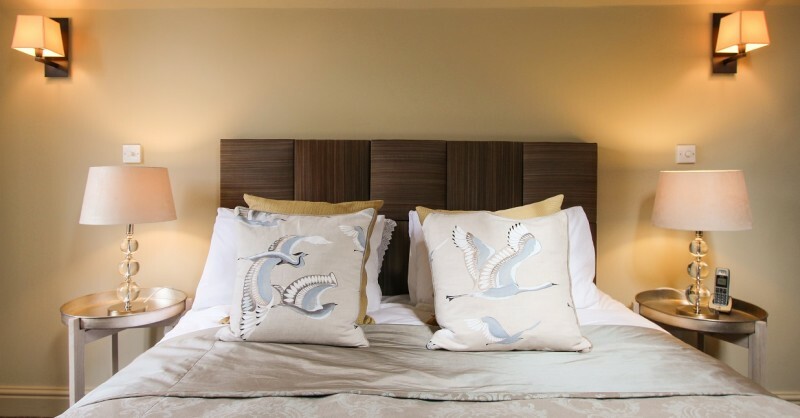 We are delighted to be able to add this beautifully renovated two bedroom cottage to our portfolio of luxury places to stay in Blakeney, North Norfolk. 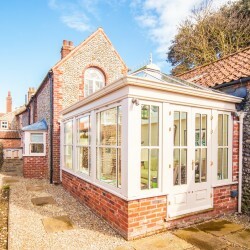 Windjammer is situated down a pretty little ‘loke’ in the heart of the village, just a short stroll to the Quay, the little delicatessen for hot croissants and fresh coffee in the morning and the various pubs and eateries. 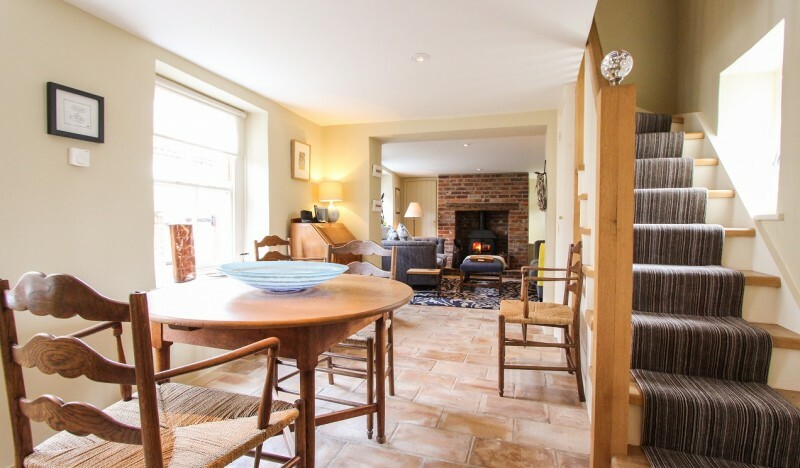 This truly breath taking brick and flint cottage boasts sumptuous living space of generous proportions and is finished to an exceptional standard throughout. 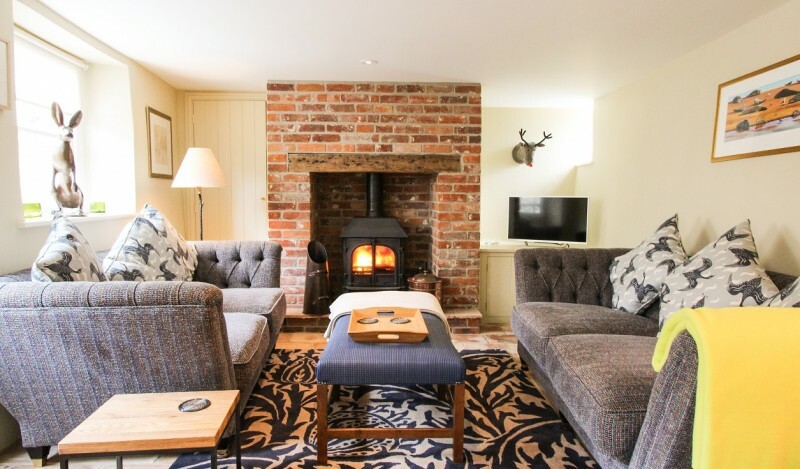 The owners have painstakingly created a wonderful and much loved second home retreat that offers a sophisticated and elegant interior that will satisfy the most discerning guests. 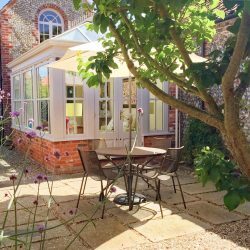 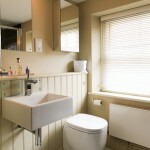 No expense has been spared in renovating and decorating this fabulous cottage which has the most wonderful hard wood , glazed garden room leading from the kitchen filling the cottage with light, and being beautifully furnished makes it a lovely place to sit both night and day. 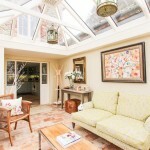 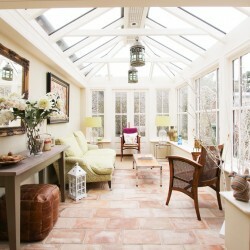 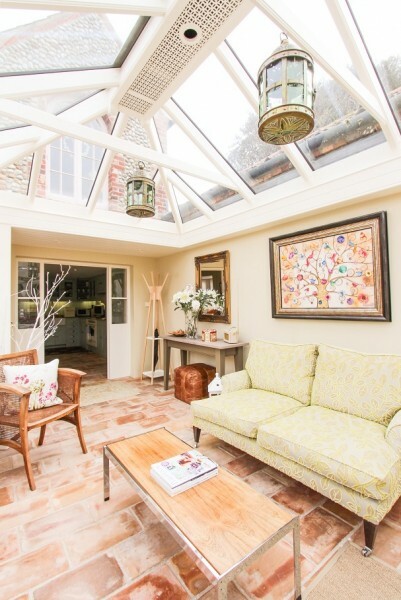 The conservatory looks over a pretty little enclosed walled courtyard at the rear of the property. 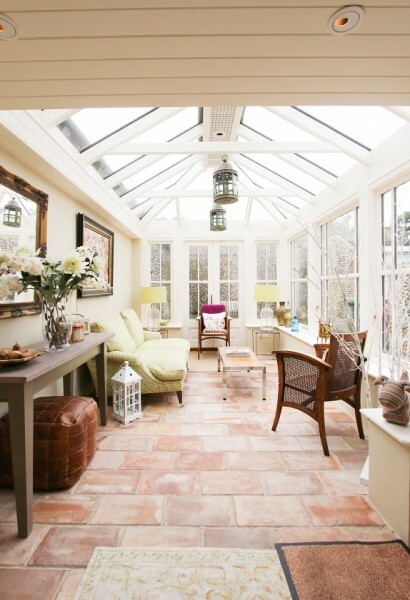 The stunning French antique stone floor in this garden room stretches the entire ground floor and has underfloor heating so is always lovely and warm under foot. 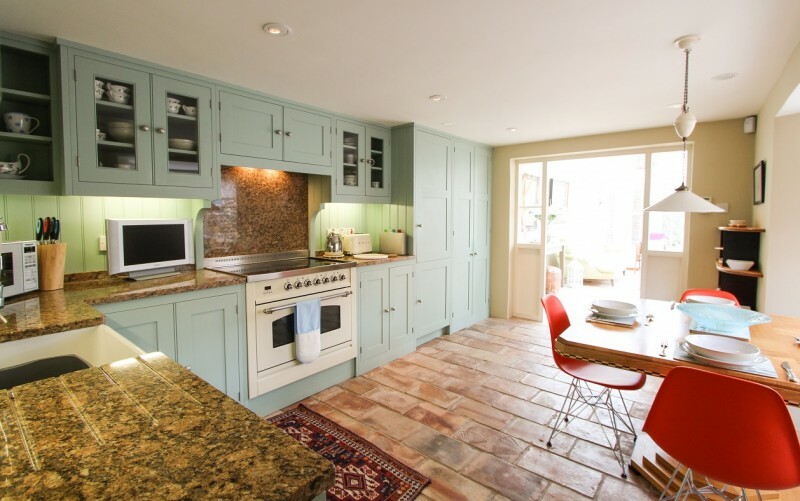 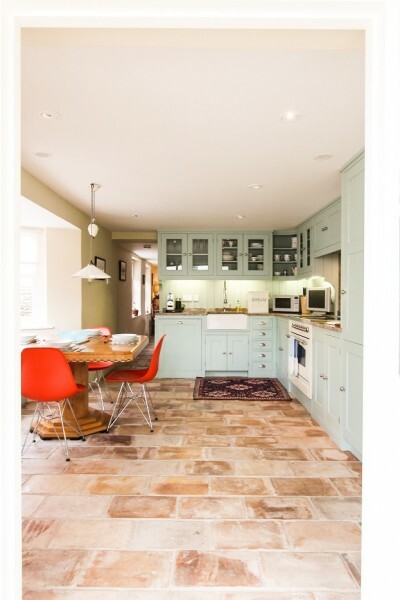 The superb kitchen with its bespoke painted units under Brazilian granite work surfaces is very well equipped with built in Britannia range cooker, fridge-freezer, dishwasher, washing machine all fully integrated into the kitchen. 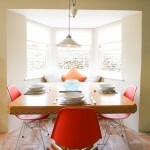 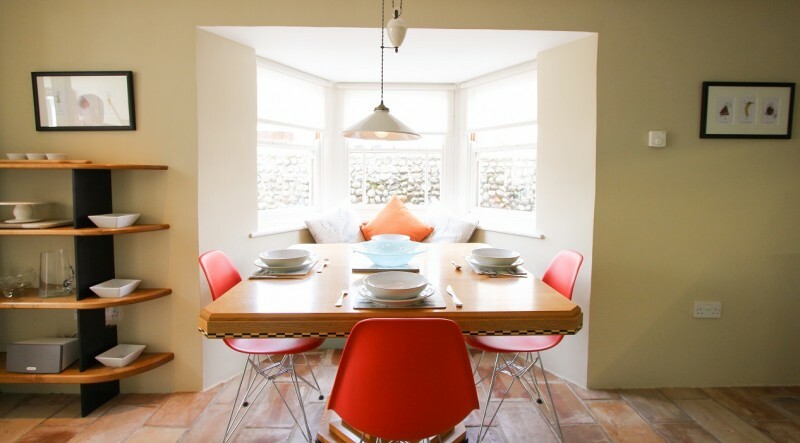 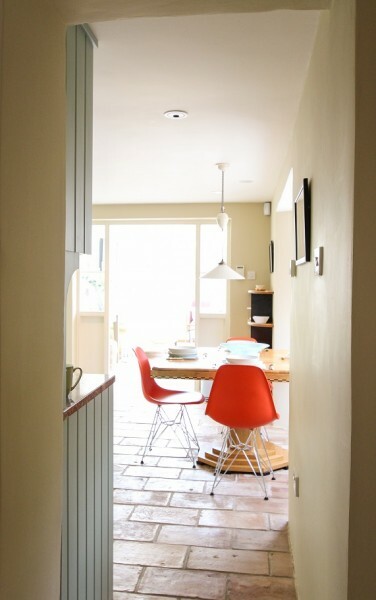 A unique wooden table and chairs it within a three panel bay wndow complete with upholstered window seat in the kitchen makes a perfect spot to dine. 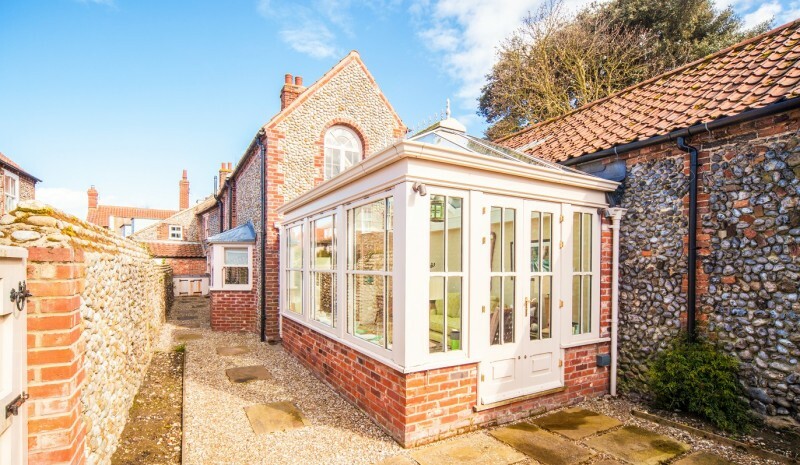 The kitchen leads through in to a dining/reception room with two large, ornate sash windows making it a lovely light bright area. 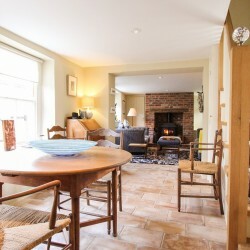 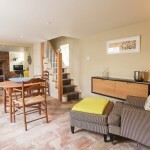 There is a dining table and four chairs in this room as well as a comfy arm chair and foot stool conveniently located next to the drinks cabinet! 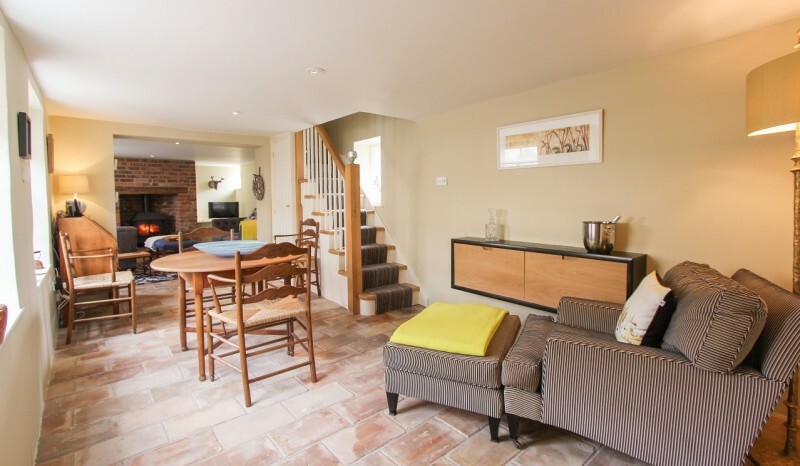 Bespoke hardwood stairs lead up from this area to the first floor and it is open to the cosy sitting room with its fantastic log burning stove. 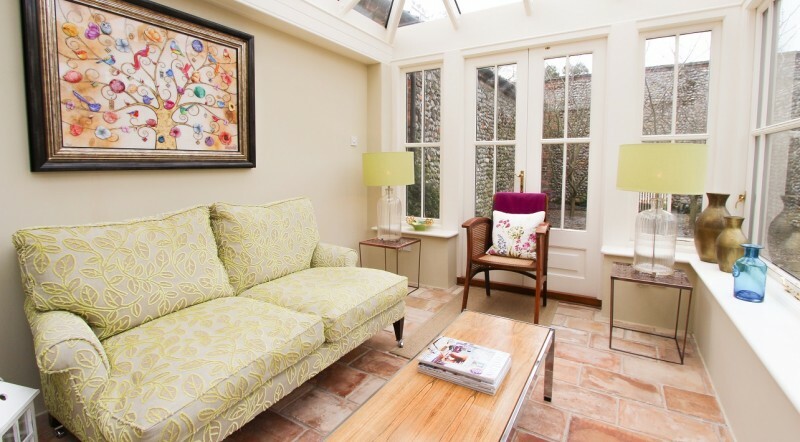 This lovely room has a pair of most comfortable sofas facing each other and along with the other designer soft furnishings, paintings and other pieces of artwork, make this the perfect room to relax in after a long day. 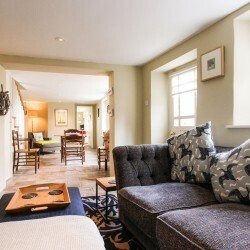 There is a LED SMART TV with Blu-Ray, a Sonos multi-room sound system and free super-fast broadband. 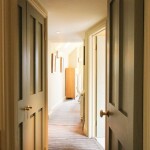 wardrobes to one wall. 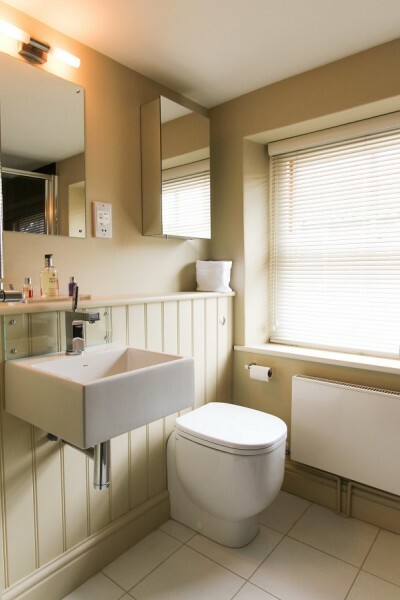 A panelled door leads to the en-suite bathroom with its luxurious three piece contemporary bathroom suite comprising of a lovely Kaldewei panelled bath with a wall mounted Hansgrohe mixer tap in a mosaic tiled surround, a Pozzi-Ginori vanity wash basin with a glass splash back with Hansgrohe chrome mixer tap. 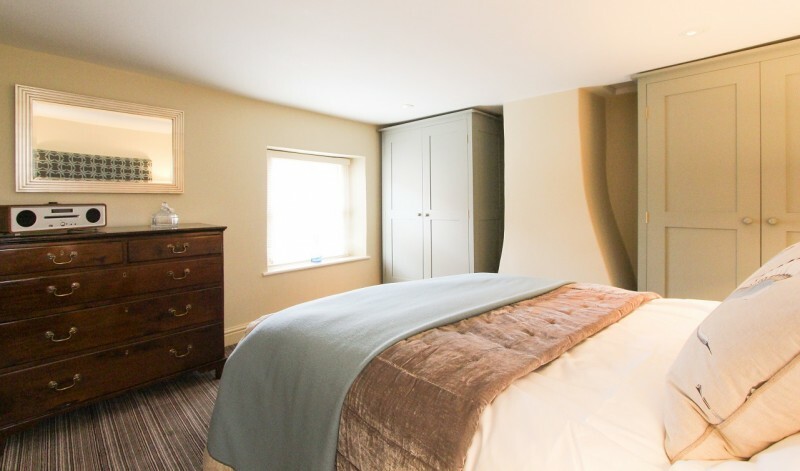 The stylish second bedroom has a lovely, comfy double bed and plenty of storage in the form of two huge handmade wardrobes. 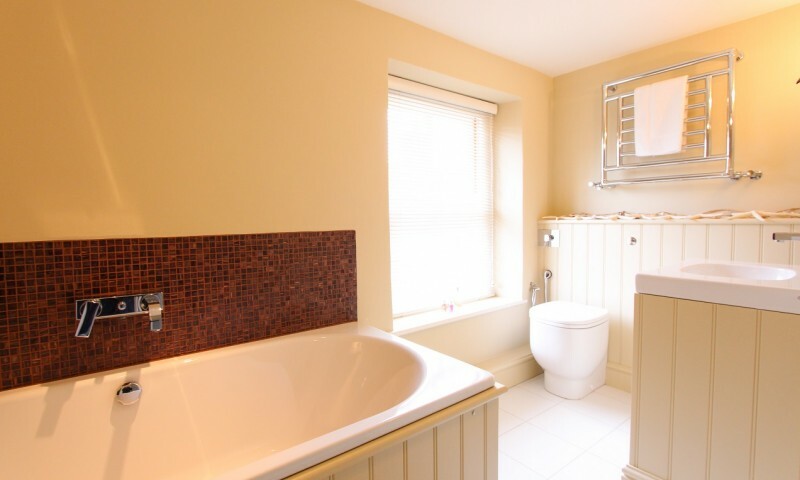 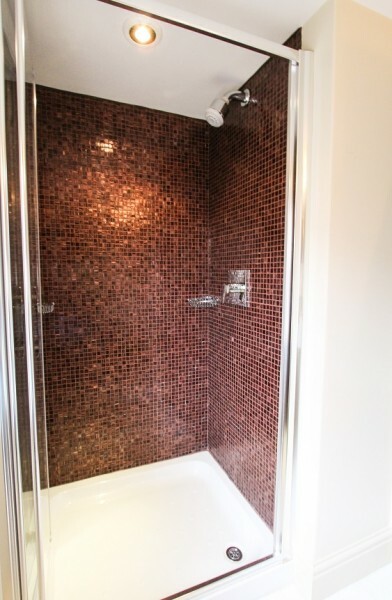 The contemporary ‘family’ shower room suite has an oversize walk in shower cubicle with concertina style glass door, a Bisazza Italian glass mosaic tiled surround, and a flush mounted chrome shower head. 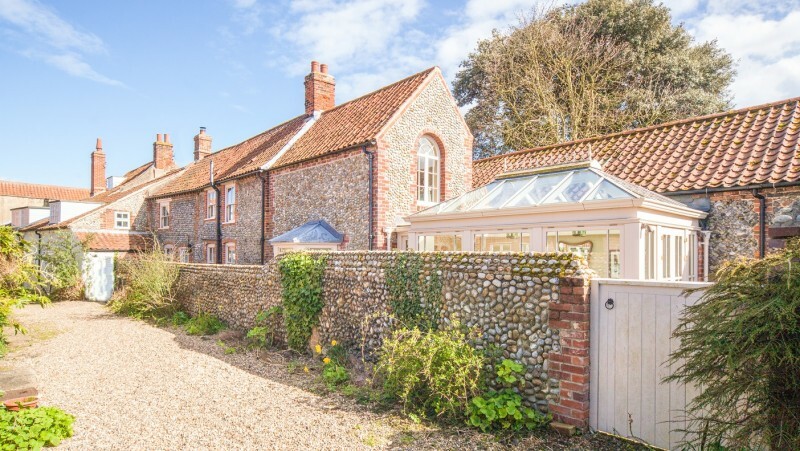 Externally a shingle pathway bordered with shrub and flowering plant beds leads down the side of the house to a private walled rear garden. 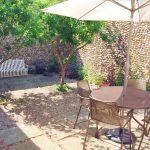 The rear garden boasts a Yorkstone paved sun terrace accessed directly front the garden room and had raised shrub and flowering plant beds and borders. 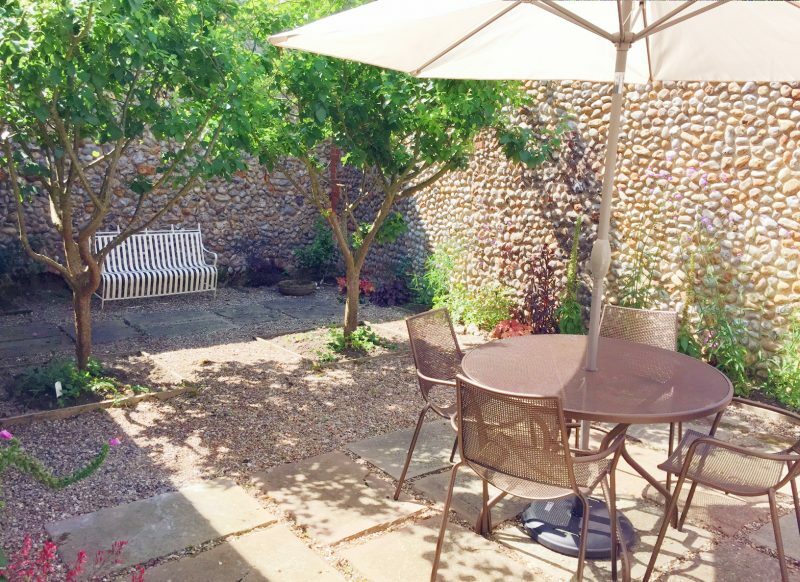 The entire garden is enclosed by attractive high brick and flint walls making it a lovely sunny and private place to enjoy BBQ’s and dining alfresco. 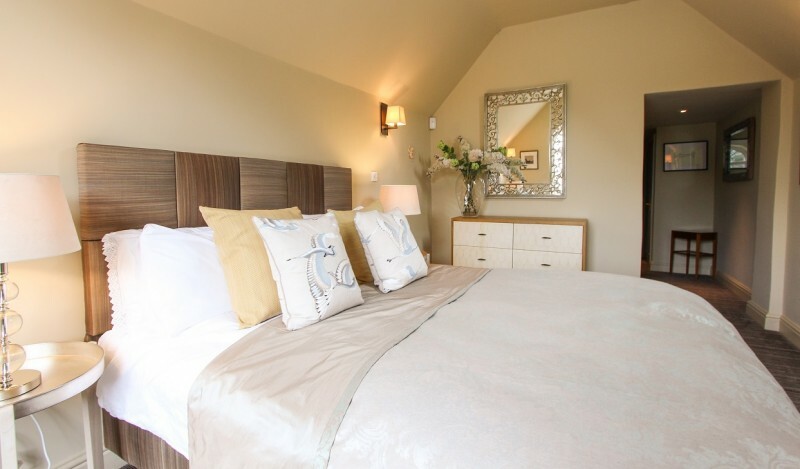 The extremely kind and caring owners have thought of everything to ensure that their guests at Windjammer have a wonderful holiday experience. 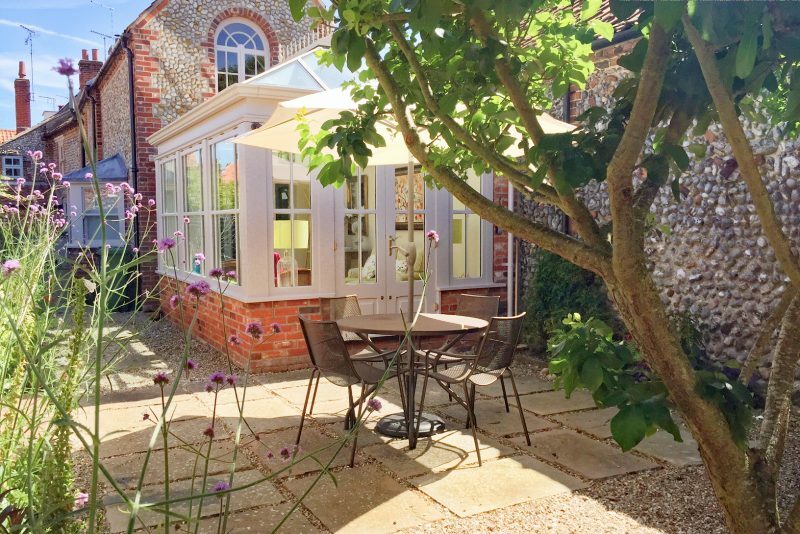 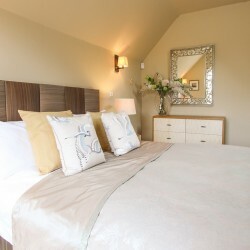 The exceptional quality of this cottage will appeal to our most discerning guests and with its prime position in the heart of the beautiful village of Blakeney, we are certain Windjammer will become a firm favourite with guests returning again and again.